Warren Buffett, the legendary chairman and CEO of holding company Berkshire Hathaway, was born on August 30, 1930. During the 50+ years he has run the former New England textile mill, he's taken it from around $8 per share to $270,000 per share (as of September, 2017), having never split the stock (Buffett did introduce the Class B shares, which for many years, traded at 1/50th the value of the Class A shares, but now trades at 1/1,500th the value due to a stock split to facilitate the acquisition of the Burlington Northern Santa Fe railroad). Along the journey, his capital allocation discipline has spawned several billionaires besides himself, and an unknown (but substantial) number of multi-millionaires, including some families that amassed hundreds of millions of dollars only to reveal the extent of their fortunes in charitable bequests at death. What are some of the lessons we, as investors, can learn when looking back on his career and strategies? Let's take some time to point out a few that are particularly important. Almost nobody seems to discuss the fact that the real secret to Warren Buffett's wealth is his ability to get the structure of his holdings put together in a way that gives him enormous personal advantages. The seven early partnerships he ran gave him an override on earnings that makes modern wealth managers look cheap in comparison, taking between 25% and 50% of profits depending on the specific limited partnership agreement. If he had generated the exact same investments results as a salaried member of the local bank trust department, you probably never would have heard his name. The same goes for Berkshire Hathaway. 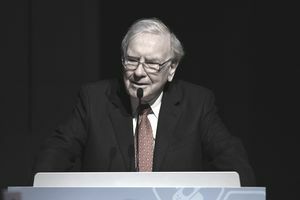 By using the insurance float as a sort of super-efficient margin account with none of the drawbacks of margin debt, Buffett was able to parlay 11% to 15% compounding results in the equity portfolio, along with reinvested earnings from the operating subsidiaries, into 20%+ average annual gains in book value for half a century. Had he held the exact same stocks in a non-leveraged brokerage account, his results would have looked far more ordinary. He gave himself a structural advantage. As a strategist, he's horribly underrated and should be given a lot more credit for his ability to put together systems that disproportionately reward him, his family, and his partners. You can see the influence one of his early obsessions, Henry Singleton at Teledyne, had on his behavior. People get distracted in life. If you want to have outsized success, you need to hone in on a specific skill set and become extraordinary at it. If Buffett had spent the past five decades also trying to launch a chain of restaurants or attempting to become a world-class novelist, he probably wouldn't have had a modicum of the influence, wealth, and reputation he does today. Even geniuses who excel in multiple areas, like Benjamin Franklin, did not do so concurrently, but rather, focused on different areas at different times in their lives. Figure out what you can do better than everyone else. Sam Walton and Ray Kroc were better operators and executors. Steve Jobs and Walt Disney were better showmen and visionaries. Whether your objective in life is to become an opera star or build a Fortune 500 business from the ground up, develop a "laser-like focus", as Buffett himself has called it. Know what you want, when you want it, and how you are going to get it. Out-execute everybody. If you become known for your integrity and fair dealing, you'll find yourself on the receiving end of a lot of grace and a lot of opportunities that otherwise wouldn't have presented themselves. Buffett took advantage of this every chance he could. Even during the leveraged buyout craze of the 1980s, he wouldn't engage in unfriendly takeovers because he wanted to cast himself in the light of a friendly white or gray knight; the rich, nice guy with the checkbook who shows up and rescues you from the pirates wanting to raid your ship. He had a vision for the type of reputation he wanted and cultivated it every step along the way. It became a brand; an image. When you look into his life and study it deeply, you see that the avuncular façade masks a shrewd, ruthlessly brilliant man with an IQ that is off the charts and a tendency toward avarice (which, ultimately, benefits society since he's giving 99% of it back to improve civilization). He will let businesses fail. He will abandon his friends if it risks his reputation capital. He will put the needs of himself, and Berkshire Hathaway, above all other considerations. He is no fool. He knows exactly how to attain, increase, and take maximum advantage of power through financial, political, and social means. The small things that Buffett has done throughout his career to get an extra risk-free 2% or 3% here or there, especially as it relates to tax efficiency, are truly remarkable. In some ways, the tax efficiency he's built into Berkshire Hathaway, which allows him to move capital like engine oil throughout the whole empire to the most productive use, is a huge part of the secret to his success. From the obvious things, like only making acquisitions of at least 80% of the subsidiary equity so he can take dividends tax-free out of the operating companies and redeploy it, to the quirks that were found decades ago in the Nebraska tax code as it pertains to the insurance industry itself, by hitting a lot of singles and doubles, he's materially added to the end result of his life's work. Smaller investors can take advantage of this, too. Invest through a Roth IRA, which is the closest thing to the perfect tax shelter as exists in the United States. Don't take on non-deductible debt for depreciating assets. Take advantage of deferred taxes by keeping turnover low (have you seen the built-in unrealized capital gains in Berkshire Hathaway's portfolio!? They're beautiful!). The heavy lifting is done by Berkshire Hathaway's operating subsidiaries. Those businesses, many of which would be in the Fortune 500 if spun-off, are run by CEOs who show up to work each day. They manage truly global enterprises that produce billions and billions of surplus wealth that then gets shipped to Omaha twice a year. Though occasional problems pop up, which is bound to happen in a firm of its size, Buffett's talent for attracting great executives, making them want to win, and staying loyal to the business is too important to casually dismiss. In many businesses, the quality of the people doing the work is of the utmost importance to the profitability. Get better people, enjoy better results. Likewise, be on the lookout for perverse incentives. You want to avoid creating compensation or recognition systems that cause employees, contractors, or other parties to engage in immoral, unethical, illegal, or otherwise questionable behavior. You get more of what you subsidize so subsidize wisely. Buffett's business partner, Charlie Munger, sometimes points out that if you took the best 4 to 5 ideas he ever had and stripped them out of the equation, Buffett's record would be about average at Berkshire Hathaway. It was the courage of conviction to load up on shares of The Coca-Cola Company; to focus on property and casualty insurance; to take a stake in the then-Washington Post Company or Gillette that made the difference. When something crosses your radar that is right in your sweet spot — you understand it, you know the risks, the probabilities are highly in your favor, and it's so obvious you can reach out and grab it — don't let it pass. Once every decade or so, you'll be presented with a chance to swing for the fences without hurting yourself if it goes wrong. When it happens, let it rip. Like great tycoons before him, Warren Buffett is gifting nearly all of the productive efforts of his career to the broader civilization. Through the Gates Foundation, his net worth will provide philanthropic funds to save lives, improve education, and change the world for the better. Think beyond yourself. Try to find a way to apply your talents to upgrading the experience of those around you, being a blessing to them in ways they never thought possible.